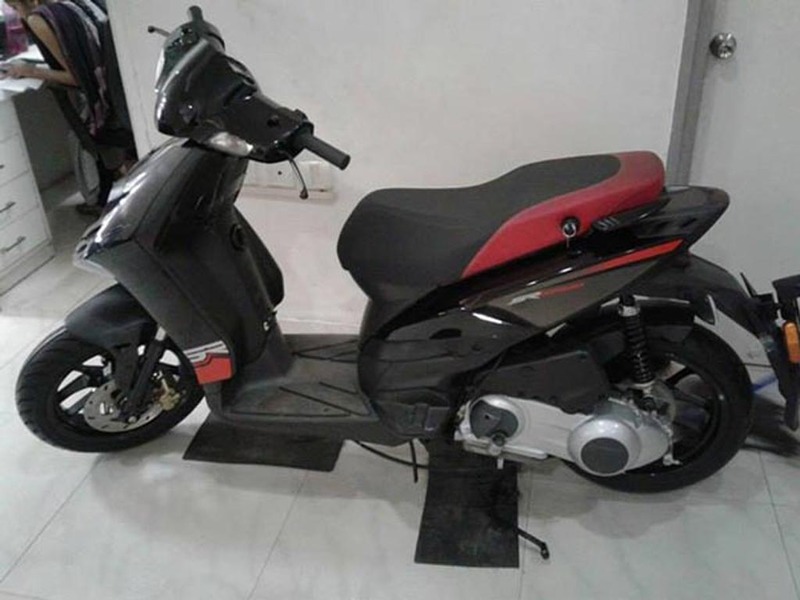 Aprilia’s much awaited premium scooter SR 150 has arrived in Bangalore. The Vespa showroom in the city is displaying the scooter. The model reaches the showroom nearly a week after the company announced the price of the model. The scooter comes at an introductory price of Rs. 65,000 (ex showroom). The premium scooter is scheduled to start delivery from August onwards. 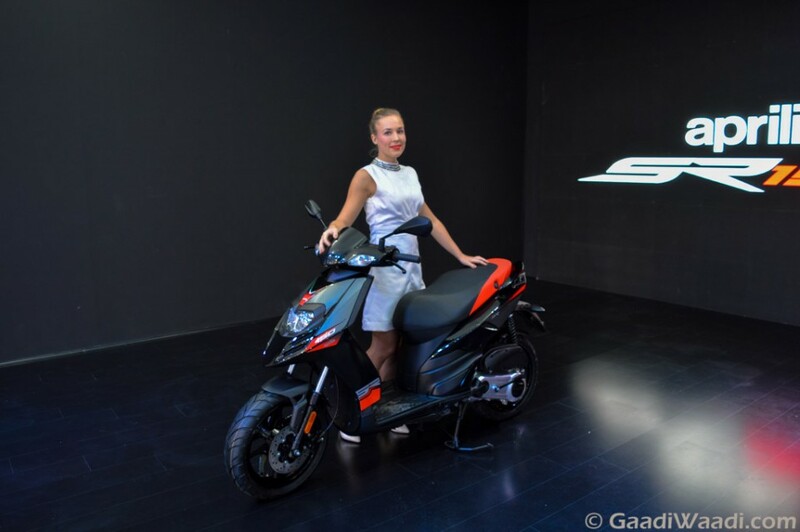 The Aprilia SR 150 was showcased at the 2016 New Delhi Auto Expo earlier this year in February. 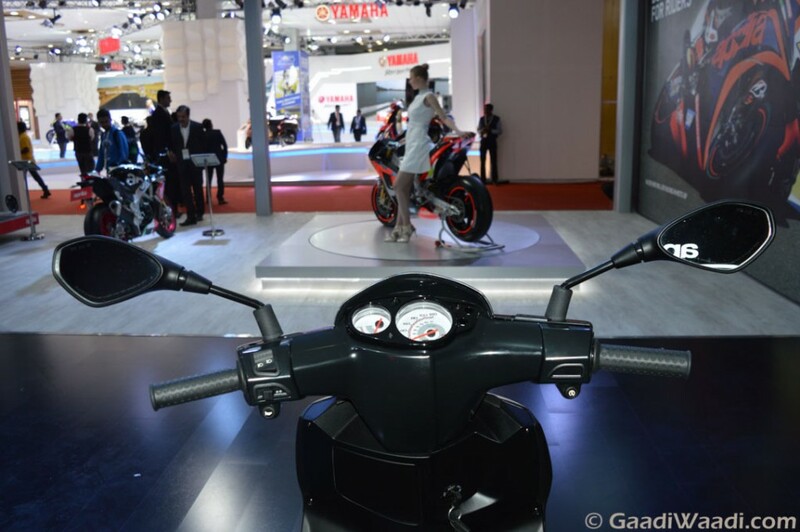 It will be manufactured at the Piaggio’s Baramati plant in Maharashtra. Interestingly, the scooter doesn’t have any such competitor against it in Indian market. Only its sibling Vespa 150 can take on the upcoming scooter. Interestingly, the Aprilia SR 150 shares the same engine with the Vespa 150. Power source for the Aprilia SR 150 is a 150 cc single cylinder air cooled engine mated to a CVT gearbox. The engine is capable to churn out 11.55 PS of peak power at 7,000 rpm and 11.5 Nm of peak torque at 5,500 rpm. Expect the engine to come producing better performance and improved fuel economy compare to the Vespa 150. The Aprilia SR 150 will gets dual headlamps, one at the front atop and another on the beak like cowl. Also the turn indicators are integrated to the handle bars. Apart from that the scooter features dual pod analog dials at instrument cluster, sporty body graphics, and flat foot bed. It also comes with plenty of storage space, alloy grab rail for pillion. Among other features it comes fitted with telescopic front forks, 220 mm disc brake at the front wheel. 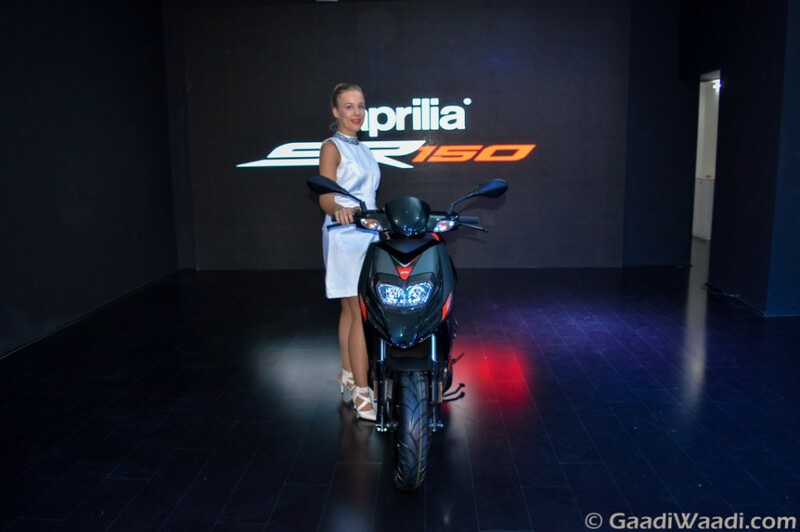 The Aprilia SR 150 will be available in two different body colours; white and black. Expect the scooter to come with an waiting period of 45 days to 60 days. In Bangalore, it is priced at Rs. 80,000 (on road).